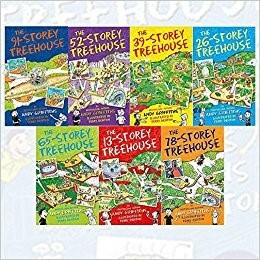 The books are about two boys called Andy and Terry who live in a treehouse. They invent things and write stories. The books are full of crazy, funny pictures that will make you laugh. Listen to the StJBC Podcast with Year 3 interviewing Mrs Rooney, the Librarian, about this series.